In Shanghai, China, BOSS Black, a well-known luxury brand owned by HUGO BOSS, has launched the 2012 BOSS Black Dragon Dragon series with its understanding of Oriental modern life and interpretation of brand innovation. The series is specifically designed for Asian limited production and is designed with the theme of Xianglong Totem. , meaning to celebrate the upcoming Chinese Dragon Year. The new 2012 BOSS Black Dragon Dragon series is based on casual wear and leather goods. It is always meticulous in materials and materials. It selects the latest research and development of special technology, taking into account both functionality and practicality, and represents the auspicious meaning of traditional Chinese culture. Xianglong Totem integrates into the product design, adhering to the consistently simple and stylish design style and the exquisite craftsmanship. Once again, it perfectly interprets the modern tough male image, and the brand's respect for the original lifestyle is also vividly presented in the new series. To celebrate the launch of this series, the brand specially invited Ms. Li Baoyi, a famous American paper-cut artist from China, to take the plum of the first of the â€œFour Flowers of the Flowerâ€ plum, bamboo, and chrysanthemum as the theme, and chose the intention of creating a sense of harmony in Chinese traditional culture. Inspired by the Eastern style of paper-cut art, it has designed the Chinese-style New Year atmosphere for the 16 BOSS Black boutiques in Asia. At the same time, BOSS Black specially took Ms. Li Baoyi to hold the cross-border theme of its paper-cut works and the limited edition dragon series newly launched by BOSS Black in the atrium of the first floor of the International Financial Center (IFC) in the central business district of Lujiazui, Pudong, Shanghai. The art exhibition, which took place from January 13th to 18th for 6 days, exhibited 12 pieces of recent paper-cut works by Ms. Li Baoyi. 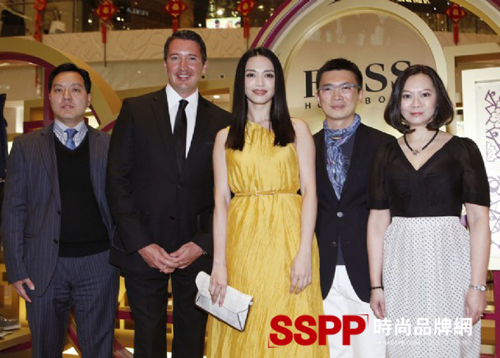 In addition, the opening ceremony of the exhibition also invited Dr. Gerrit Ruetzel, the Asia Pacific CEO of HUGO BOSS, Dr. Li Xiuzhe, the paper-cut artist Ms. Li Baoyi, and Mr. Huang Zhizhao, Director of Shanghai International Finance Center Shopping Centre, together with the famous movie star Miss Yao Chen. The paper-cut works designed by Ms. Li Baoyi, this is the source of inspiration for the Lunar New Year window design of HUGO BOSS and the cross-border cooperation of art. The last guests graciously raised their Glasses and celebrated the opening of the exhibition. What is more worth mentioning is that during the Spring Festival approaching, the HUGO BOSS follows the traditional Chinese customs and carefully crafts a limited edition New Year's New Year red envelope. The cover design skillfully uses the plum paper-cut designs created by Xianglong Totem and Ms. Li Baoyi. Responding to each other, at the same time as giving guests and the media, it also gives the wish to achieve success and joy and good fortune. 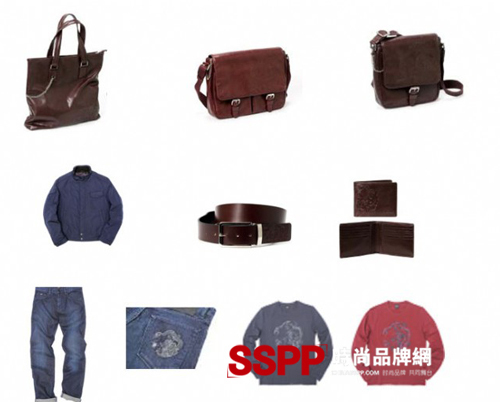 2012 BOSS Black Dragon Dragon series, "DRAGOR" Shopper bag, "DAMOR" Messenger bag, "DENSOR" Reporter bag, "DEVITON" wallet is made of 100% leather, polished fine, natural luster on leather surface; belt buckle The newly developed anti-oxidation palladium metal is used, and the color is lasting as new. The main body of the belt is made from selected Italian cowhide with embossed dragon warp.